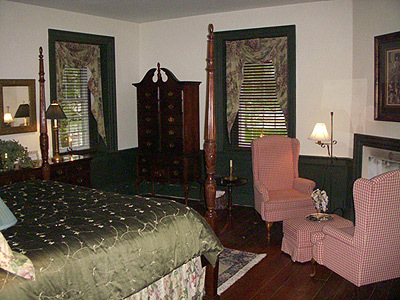 The colonial room offers a cherry, king size plantation rice bed, and a private bath with a bathtub and shower. Relax in front of the fireplace in the two comfortable, queen ann chairs. Enjoy the authentic surroundings of wide plank floors and deep window sills.